Brian, California Cobra F6 12* Matrix Red Tie 60Q4X 65g Stiff Handicap the 6 inches between my ears, 12.2 I have never tried a Tour Edge I have only used a LM when getting new clubs. Jvgolfcoach posted a topic in What's In Your Bag? How long have you been playing golf? What’s your handicap or normal score? I have been playing golf for 20 years I am a 12.2 Handicap right now hoping to improve it. I usually am around 82-86. What do you love about golf? I love trying to get better at this great game. I also love growing the game. What brings you to MyGolfSpy? Do you already know any other Spies? have been reading my golf spy for about 3 years now and I trust their testing and I don't know any other spies Where are you from? 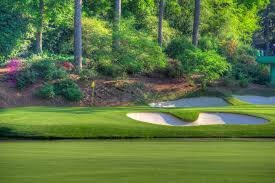 What is your home course? I live in Santa Clarita California and I don't have a home course I will play anywhere What are the best and worst things about golf in your region? There are a lot of golf courses down here but there is also a lot of people who play so rounds can be long. What do you do for a living?I am a high school special education teacher and football/golf coach. How’d you pick your user name? I am the JV golf coach for the school I teach at. Brian California Adidas provisional Rain jacket rain Pant 2017 Encino golf course ranking round for the team that i coach for. Steady down pour the whole round. But when golf season hits you have to play!